If you know the Beyerdynamic DT 1770 Pro, then know that the Beyerdynamic DT 1990 Pro is primarily the open-back version of that headset. Both of these headphones have practically the same price tag, so it can be hard differentiating them on just by looks alone. You would have to try each one to know your preference because the main difference between the two models boils down to the sound. Right off the bat, the Beyerdynamic DT 1990 Pro does feel like a pretty solid pair when in the hand, as what an audio-listening device advertised for professionals should be. There is a lot of metal going on that can be found towards its open-back driver grilles, all the way to its beefy earcup forks. It sports a black-on-black color scheme that ultimately screams that it should be made to use to listen to your favorite tracks. The driver grilles do have a silver colored mesh, which is practically the only thing that breaks up the black-on-black color scheme. As for the earpads, they are made out of memory foam and then wrapped in gray velour. When talking about their level of comfort, know that you can wear the DT 1990 Pro without having to worry about it crushing your skull or weighing down your head. However, it is possible that your ears can get a bit warm, especially when you’re listening for long periods of time. This is because the earpads do not breathe very well. It is a minor setback, but one you can get away with by resting your ears for a few moments before putting the headset back on. So how does it sound like? It is a unique sort since you can modify the audio experience by use of different earpads. There is an “A” version, in which offers neutral sounding frequencies across the board, and then there’s the “B” version, which will give you a slight boost towards the low-end of the spectrum. This gives both types of audiophiles the right to choose as to what kind of audio signature they want. And if you’re the type who is a mixture of the two, then you can get all of your audio fix without having to purchase another headset. No matter what kinds of earpads you place on the Beyerdynamic DT 1990 Pro, note that it does sound exceptional. These are professional-grade cans that anyone, no matter your audio preference, will have fun listening with it. Where to buy Beyerdynamic DT 1990 Pro? 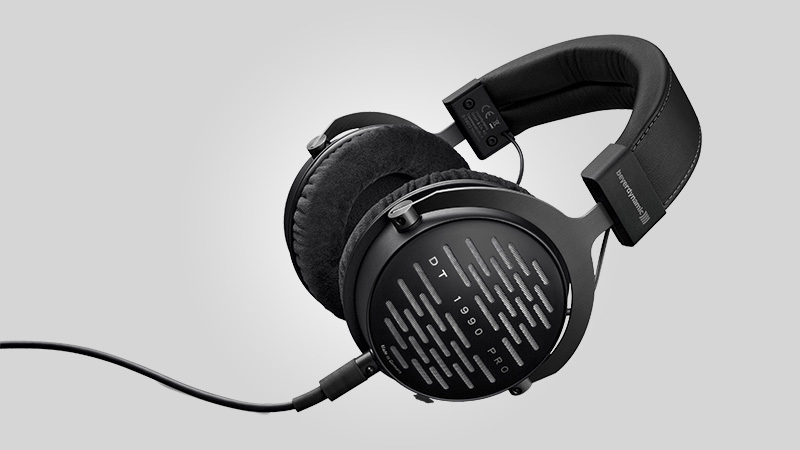 We suggest to use the link provided bellow if you want to buy this Beyerdynamic DT 1990 Pro online.